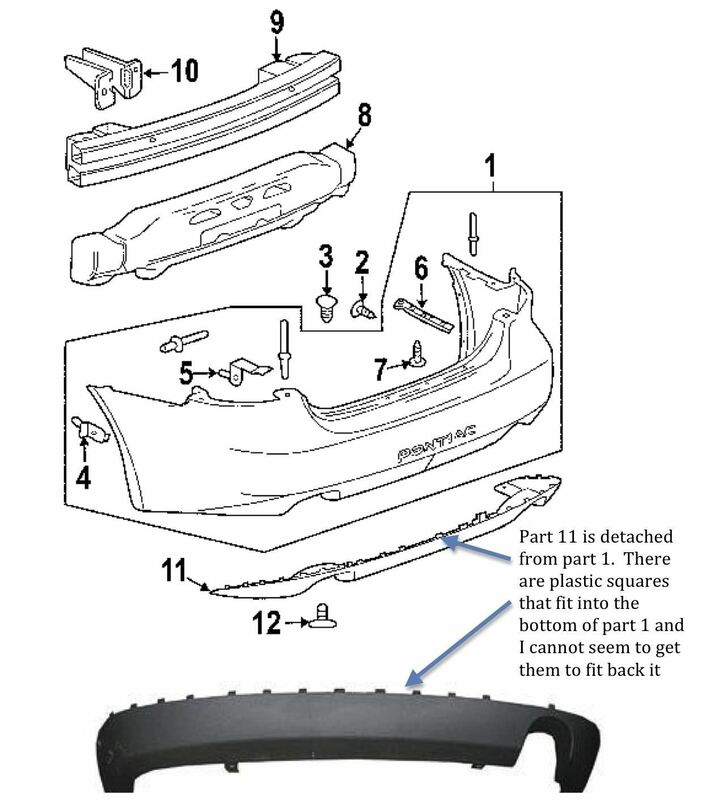 Forum Thread: Please tell me How to Attach Front and Back Bumper Valance on 06 Grand Prix???? 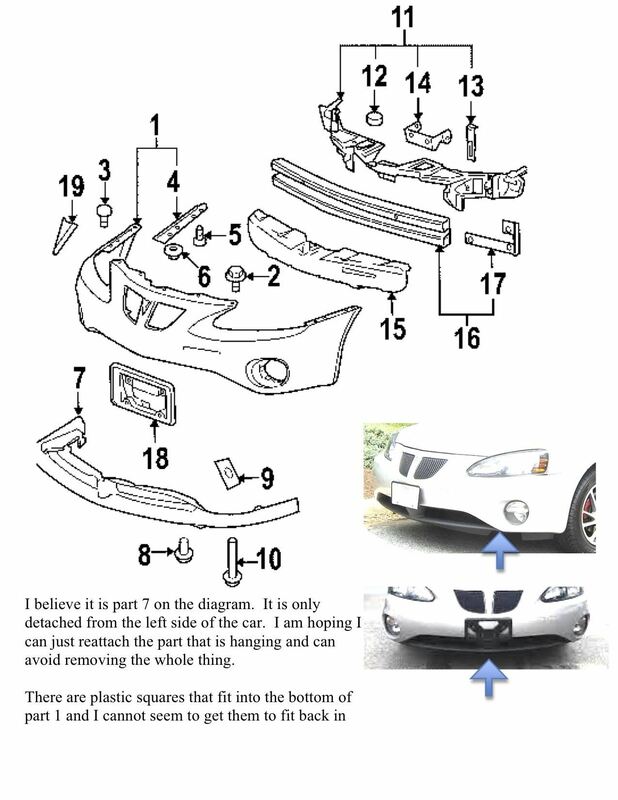 I accidentally pulled off the front and back bumper valance on my 06 Grand Prix. I know that I will need to replace the bolts on the sides and middle to keep it in place. I am having problems getting the plastic squares to lock into the bumper. I was wondering if there is a special process on how to do this or any guidance you could provide. I have put together a document with a diagram and some notes.